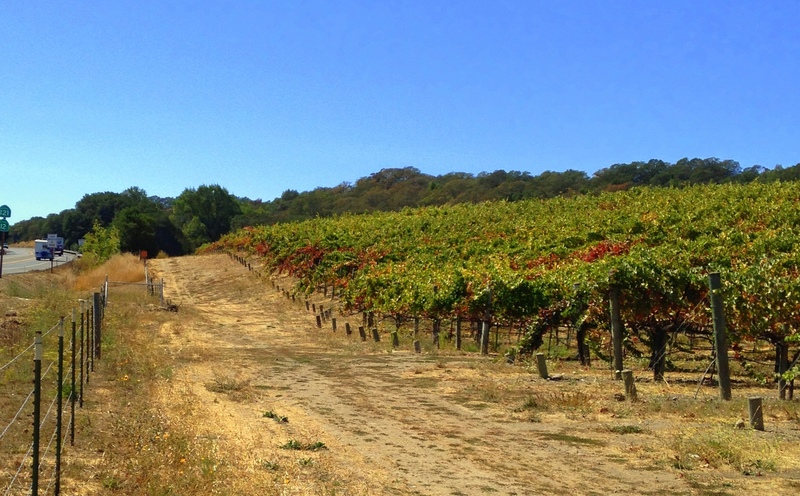 In the highly competitive business of marketing wine, consumer perception is everything and nobody wants to admit their vineyards have problems. This fear has slowed research into the habits of a virus now known to cause Red Blotch Disease. 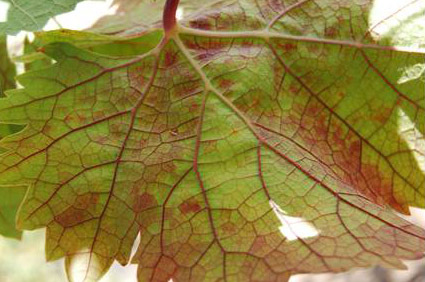 It is not such a good name because it often causes red veins more than red blotches and absent nutrient deficiencies and other stresses, infected vines may have no more severe symptoms than pale green leaves with red veins more apparent on the underside of the leaf. Individual canes and cordon arms can be symptomatic while the rest of the vine remains healthier. 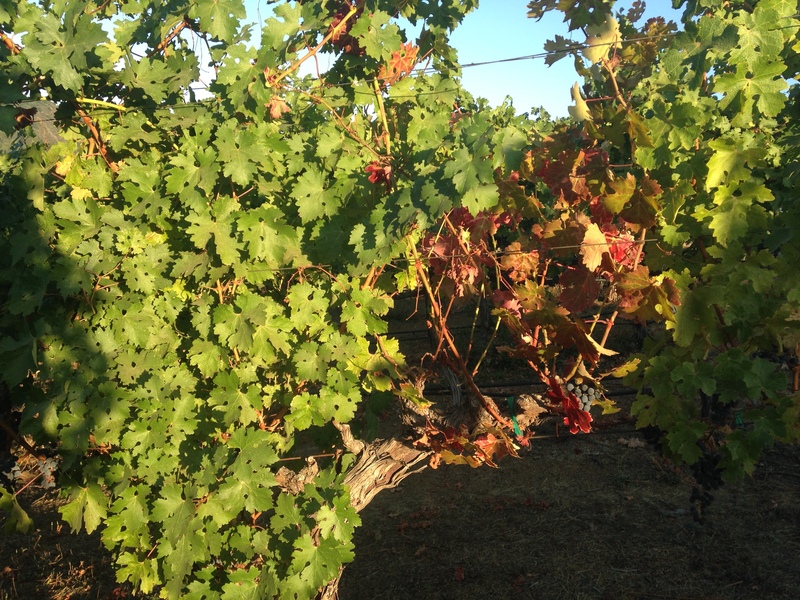 The retail cost of assays to positively identify the virus approaches $500 and the cost to test every vine in a vineyard is prohibitive to anyone but the USDA, but they have done this in the UC Davis Oakville field station and some cooperating private vineyards with the caveat that the locations remain secret. The result is that they have watched the disease move through the vineyard from areas of complete infection to adjacent vines in a shotgun fashion. Fortunately, reddening of the veins distinguishes the disease from other read leaf symptoms enough that at least crude diagnoses can be made on the fly. In the image above Red Blotch has jumped the road from a generally infected block on the left to form a beachhead patch in a clean block on the right. There seems to be a significant edge effect to the spread of the disease that lead us to propose the highway hypothesis. Infection above may have come from vineyard below which was ripped out and replanted. This vineyard is speckled with a concentration along the edge. Dr. Poojari at Washington State University let Virginia leafhoppers chew on Red Blotch leaves for three days and moved them to uninfected vines, showing that at least in greenhouse conditions Virginia leafhoppers can transmit the disease. We do not yet have Virginia leafhoppers in Sanapanoma, but like the Virginians our local hoppers overwinter in weeds and wooded areas and migrate back to the vines each year. One east coast hopper does not even overwinter in the northern regions and makes an annual migration of hundreds of miles to chew on northern grapes. Pruners beginning at the edges with infected shears and mites are other possible explanations for the edge effect. 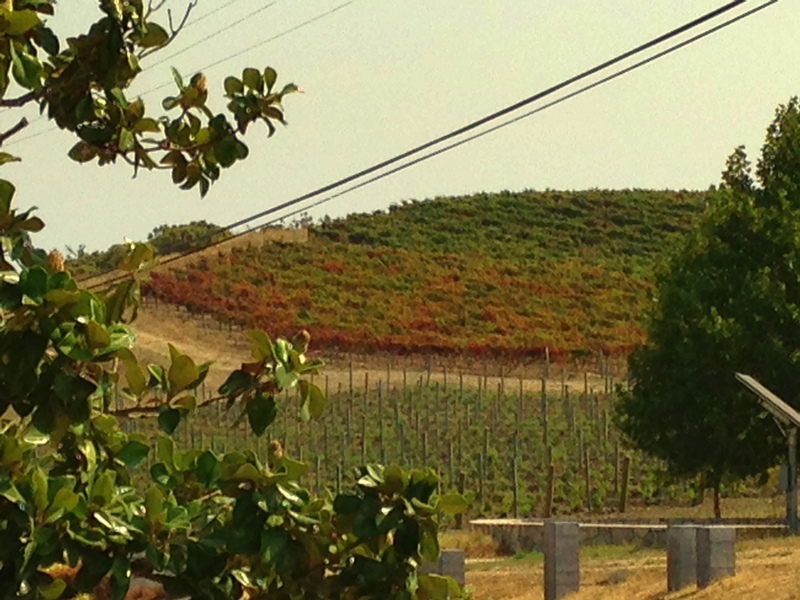 The stigma has resulted in many vineyards being ripped out and this is epidemic in Carneros right now. 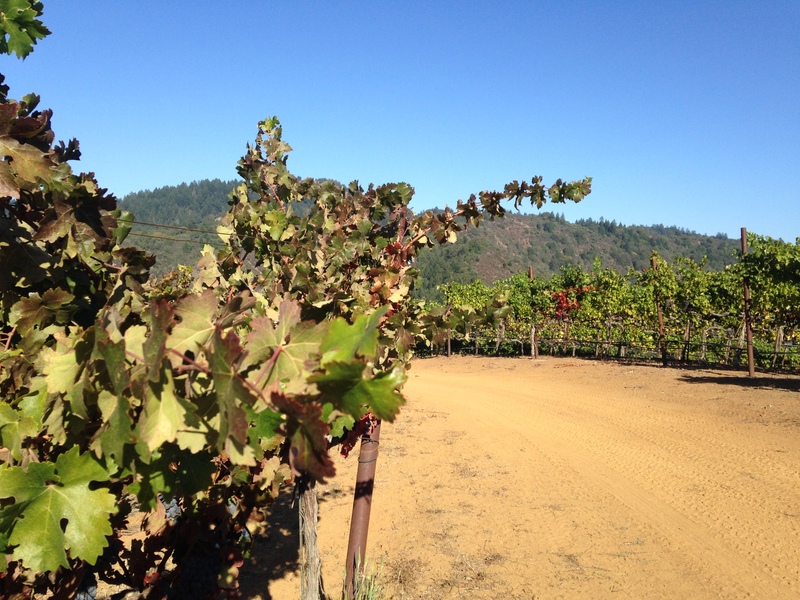 Driving around it is easy to see that nearly half of the older vineyards in Napa and Sonoma are infected. Some vineyards have dropped all the fruit on infected vines. As long as the new Scarlet Letter is the letter R, expect to see many more uprooted vines soon. The Oakville field station seems to be doing a very good job of managing the disease and aside from the stigma it may well be possible to produce excellent wine from infected vines. If a way can be found to preserve the flavors in these vines, a reduction in brix might be a benefit by reducing the high alcohol content introduced to winemaking by phylloxera resistant rootstocks. This entry was posted in Microbial Dark Matter, Red Blotch Disease, RGBaV, Wine and tagged Scarlet Letter R, Stigma. Bookmark the permalink.